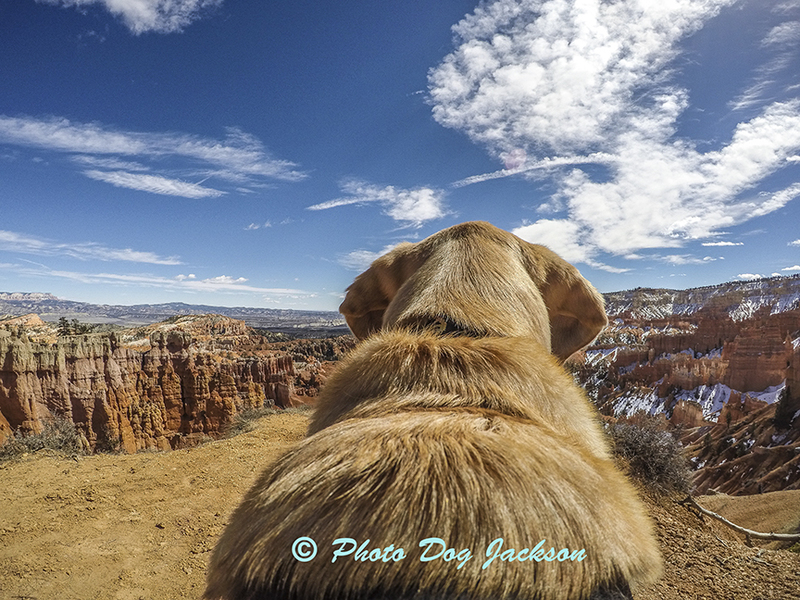 Woof, woof, we drove from Zion National Park to Bryce Canyon National Park on Tuesday. What a difference between the two places. Both scenery and weather. 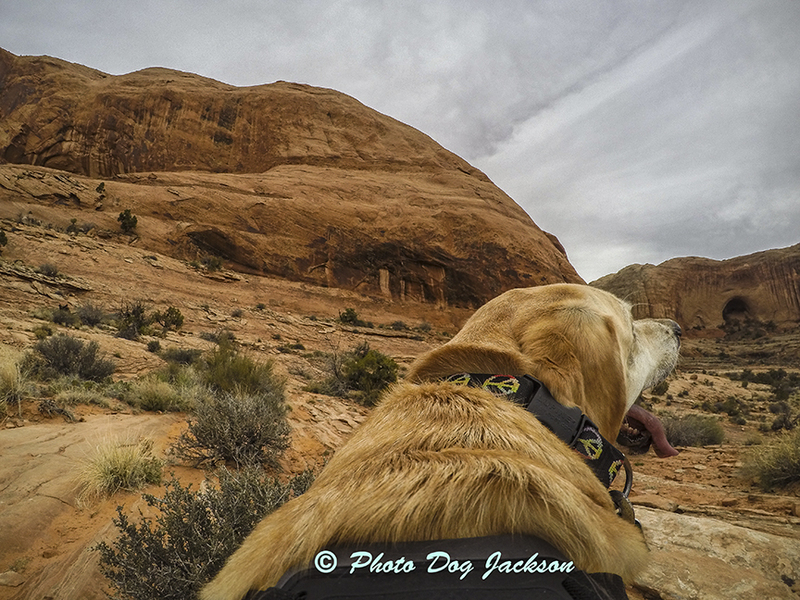 While in Zion, my human got stuck in a thunderstorm while I was waiting on him in the truck. I was worried about him because it took a while for him to get down off the trail. I was glad he did not get hurt or struck by that bright stuff called lightning! When he got back he was wet all over and cold! He said a lot of foolish humans were still hiking up the mountain and trying to hide under trees and rocky cliffs. Wow, even dogs know better than that! My first close view of Bryce Canyon!. 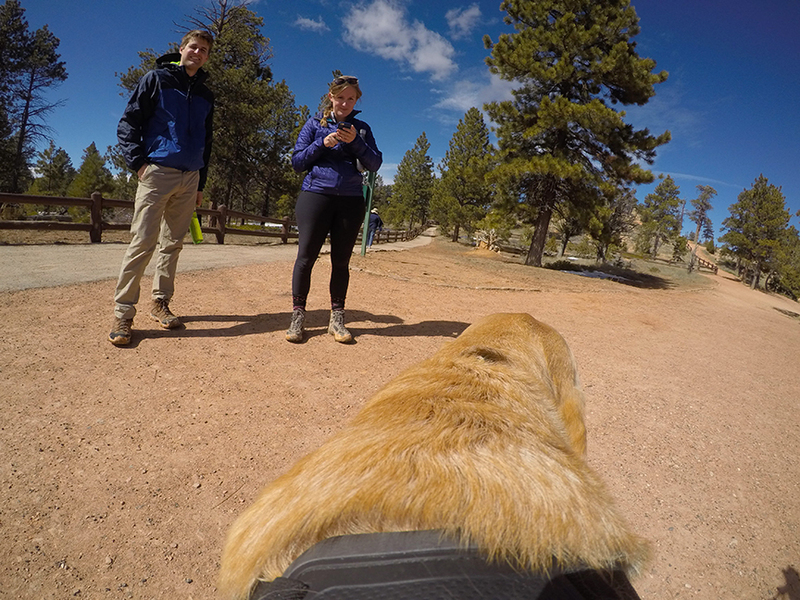 Some of the humans I met at Bryce Canyon. 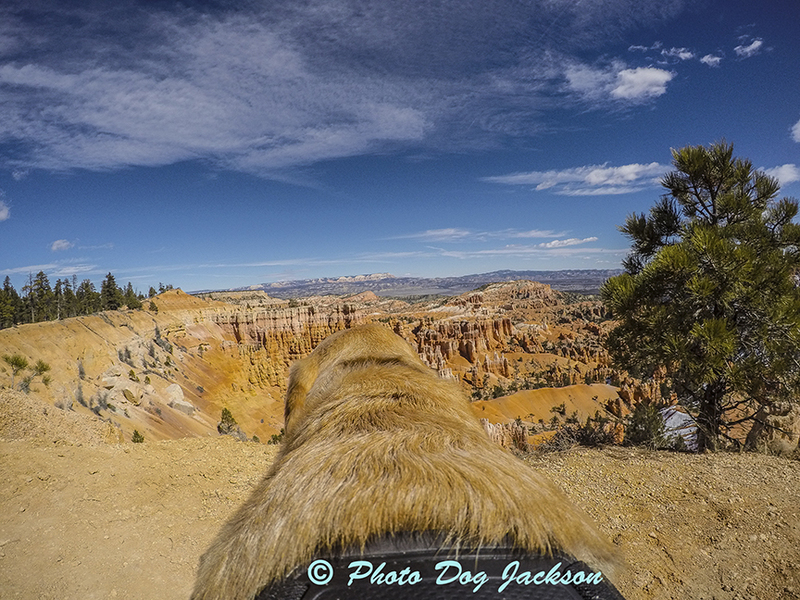 When we got to Bryce Canyon we drove and took pictures after we checked into a motel. Matt said it was so cold at night at the canyon it would freeze inside the truck. When we were at the Gila cliff dwellings it got down to 19. I had to get under the sleeping bag and quilt to stay warm. Ruff, I like the room it was much warmer. The next day I went to a hike on the rim of Bryce Canyon and got to see the hoodoos in the canyon and meet a bunch of nice humans. It was a lot of fun. 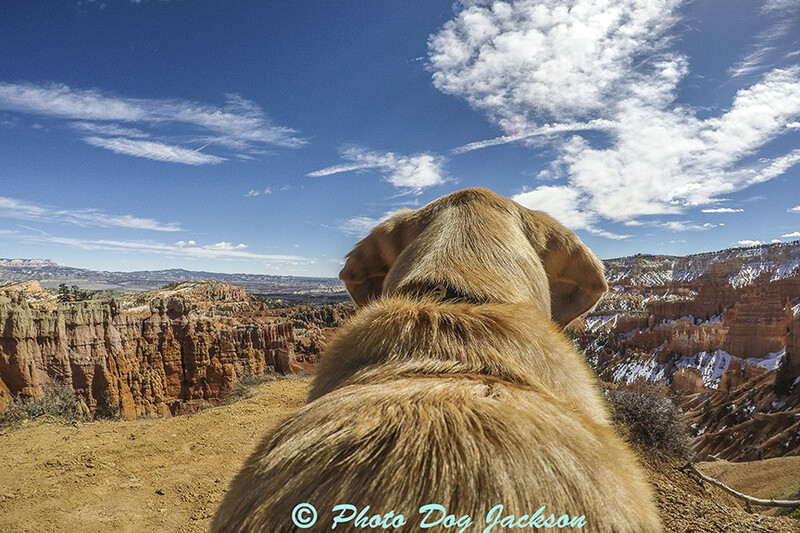 Then my human went for a hike in the canyon, ruff! 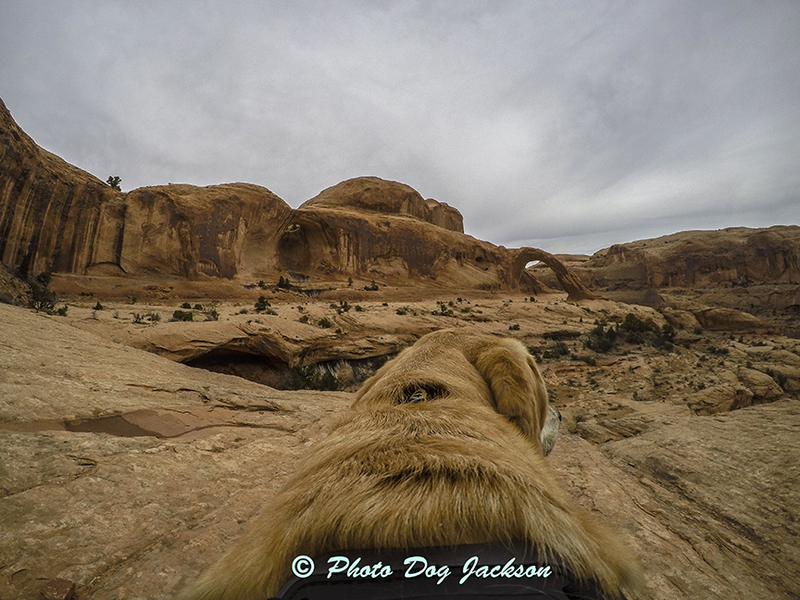 I am not allowed in the canyon just because I am a dog, so I had to wait in the truck for him. Wow, it sure is big, but not as big as the Grand Canyon! 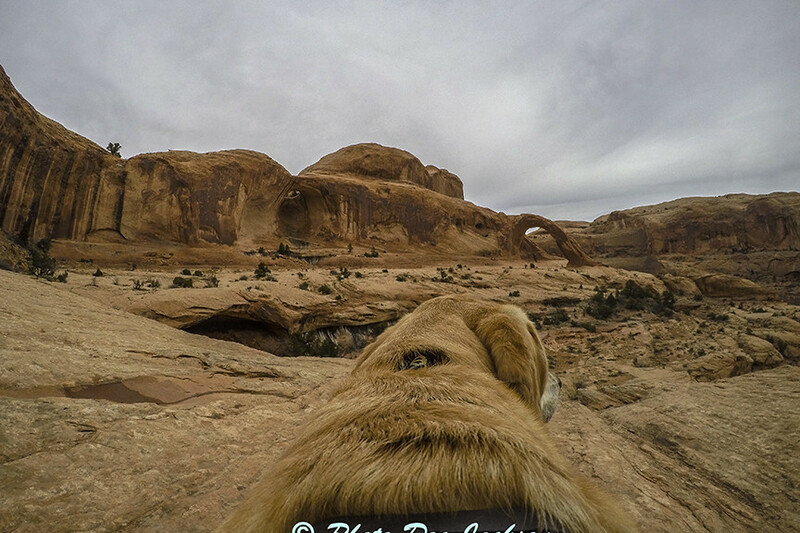 Today we are going to a place called Arches National Park, I hope it is fun there too! I hope I can write another blog report then. Woof, woof, see you from there! Woof, woof, We got Arkansas, my human told me. We had a good time in Huntsville visiting with my human’s old friends the night before. We even left late but they hadn’t seen each other in a long, long time. We crossed this huge river to get to this place called Arkansas. Matt said it was the Mississippi, he had to spell it for mee, so many s’s and i’s I couldn’t get it right. We spent the night at a place called Lake Catherine State Park near a place Called Hot Springs. He wouldn’t let me swim at all because he said I would stink, I don’t know why he thinks I stink, I always smell good to me. 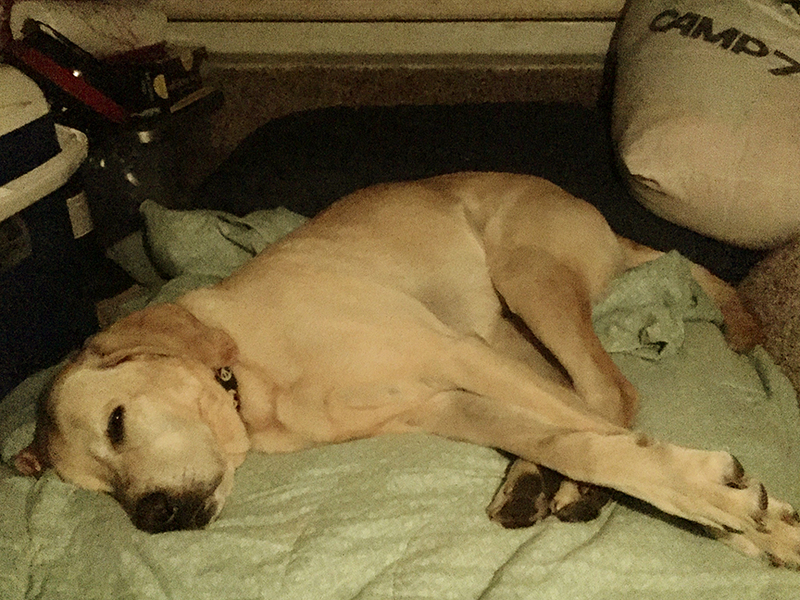 Jackson asleep in the camper. 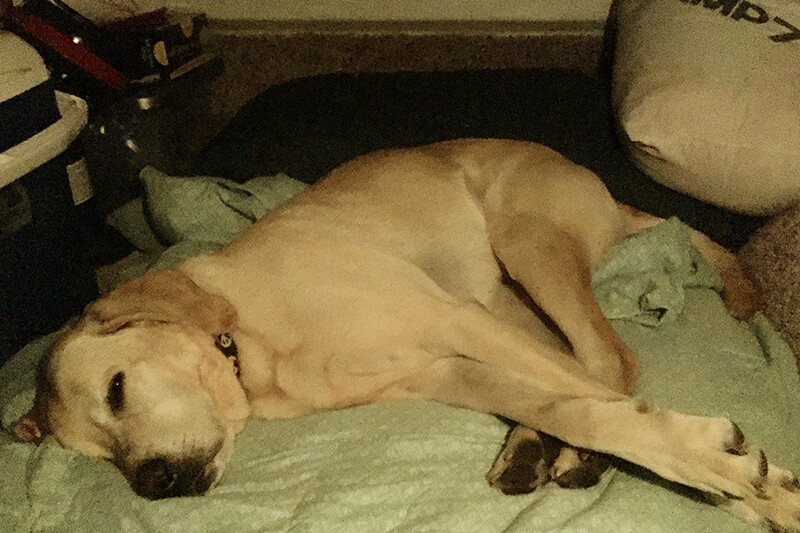 That’s me sleeping in the camper, woof! Then we got up early and went to a national park called Hot springs and dang it, my human wouldn’t let me get in the hot spring either. He said someting abuot not wanting us to get in trouble. Woof, me get in truoble, never, ruff! He is insided eating breakfast while I am writing and posting this, after he finishes eating we are supposed to go to a place call Austin where his cousin lives. We have another long drive he says so I had better finish my story for now. I’ll post more tomorrow, woof! 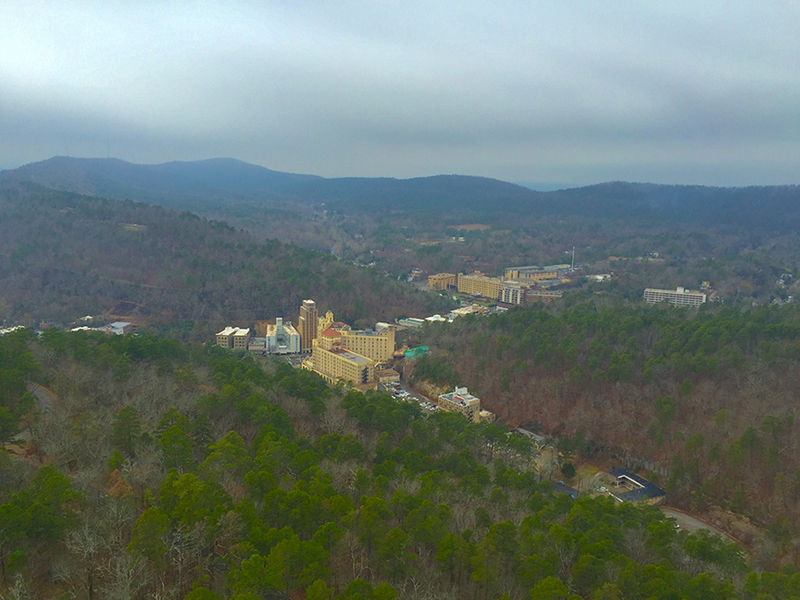 A view from the tower at Hot Springs National Park. I didn’t get to go to the tower, ruff!